Fun holiday decoration that will delight everyone! 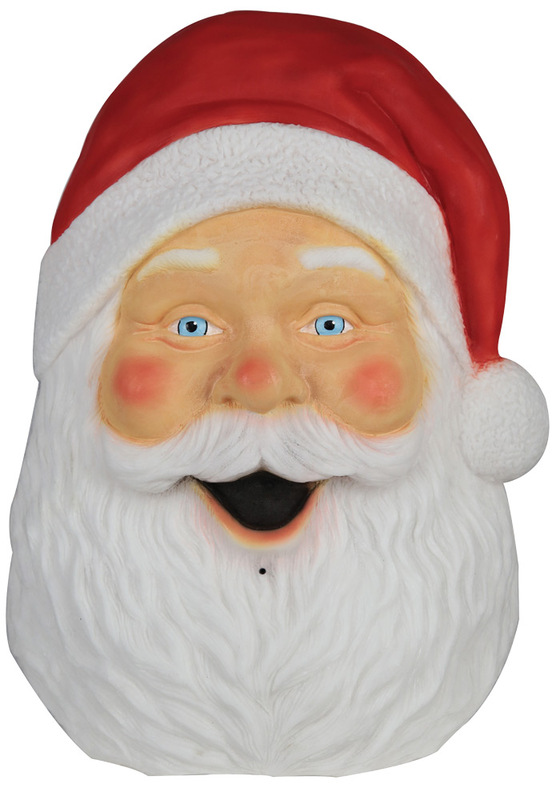 Festive Santa face lights up and plays 4 different sayings with holiday music playing in the background. Measures approximately 22 inches tall and 15 inches wide, and 7 inches deep. Has a flat bottom and will sit on a table or shelf. Has a motion sensor and Try Me option. Perfect addition to your holiday decor! Requires 3-AA batteries not included.